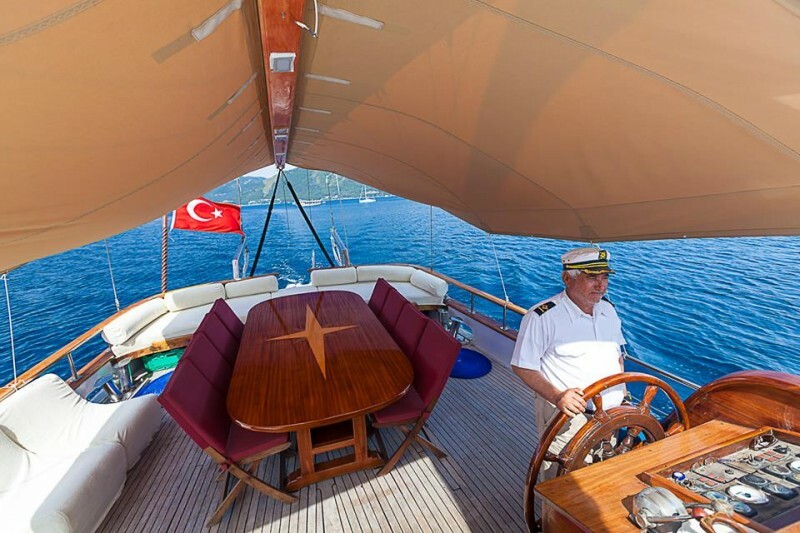 Take a gulet cruise aboard the classic wooden boat Ceyda 2, and explore the beautiful Turkish coast and the nearby Greek Islands. 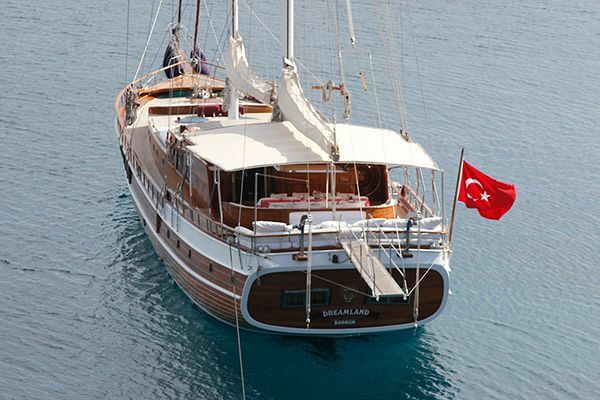 The ketch style gulet Ceyda 2 is a small charming gulet based in Marmaris, which was completely refitted in 2009. 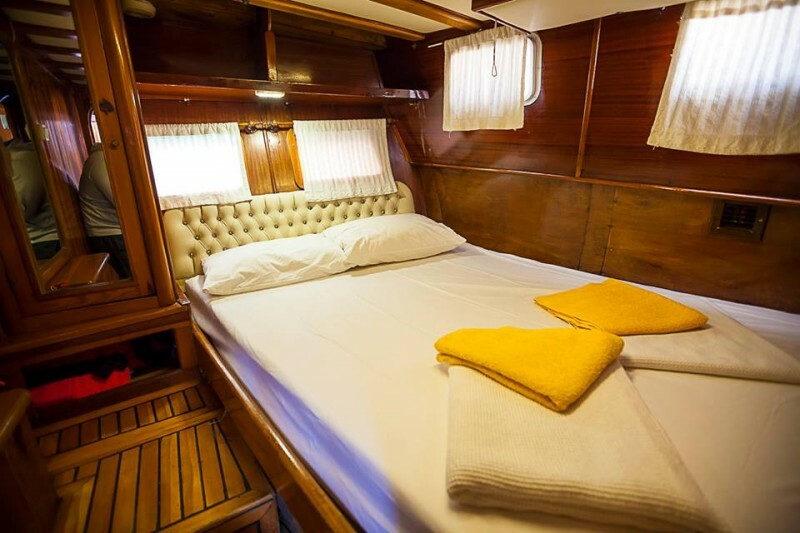 The practical design of the interior with the pine lining gives a neat nautical atmosphere. 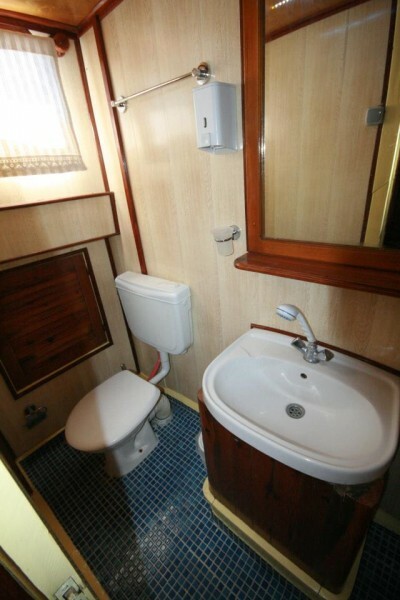 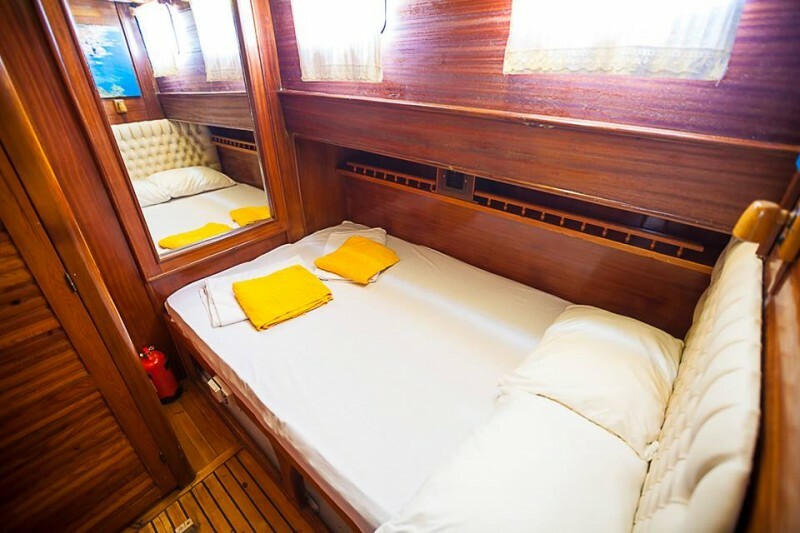 The six double bed cabins in the 21 meters hull are compact, simple and neat, with private bathrooms and air-conditioning available. 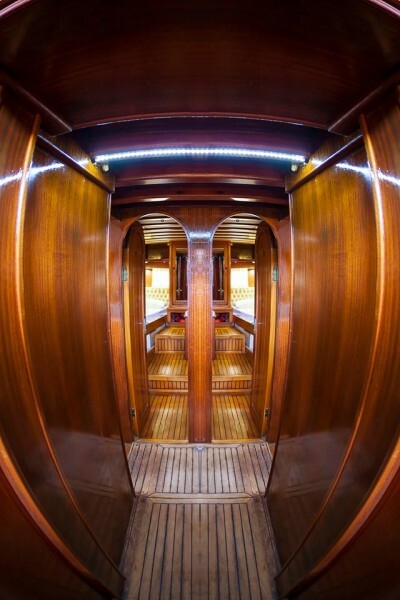 Access to the cabins is by a few stairs from either side of the saloon, while the big windows in the saloon allow plenty of daylight and panoramic views. 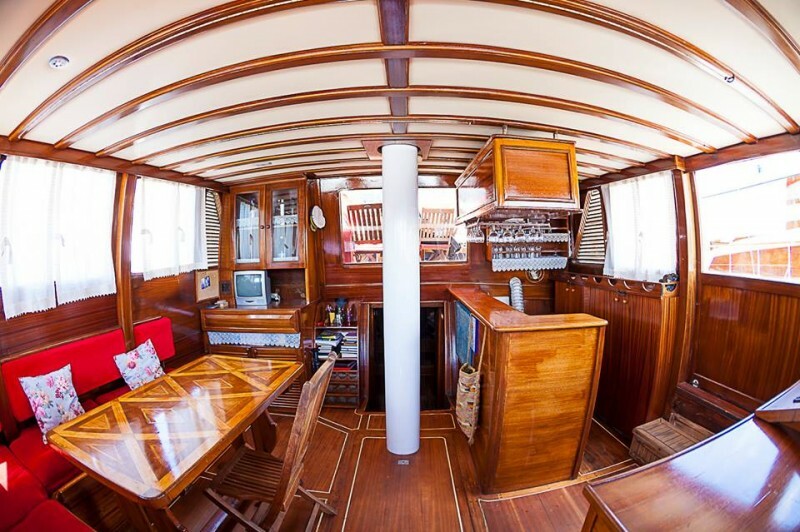 In the small saloon a comfortable seating bench with a small table, a bar for the meal and drinks service are to be found, as well as the captain’s navigation desk. 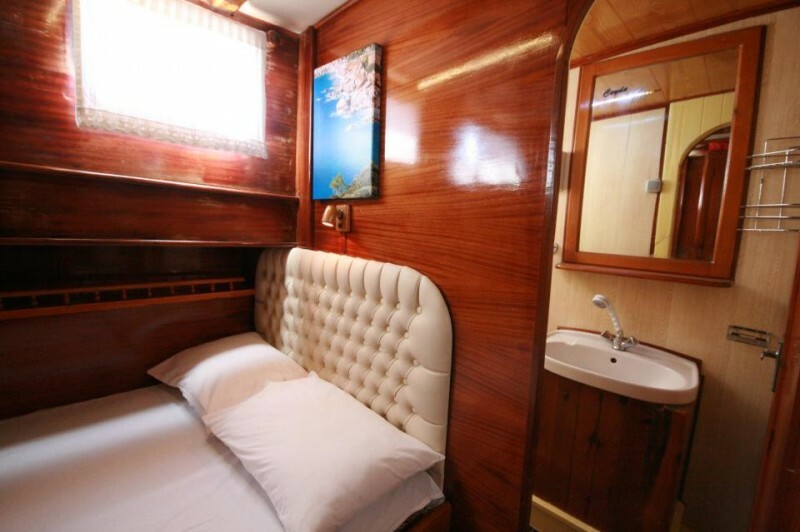 Television, DVD- and music systems are also available here. 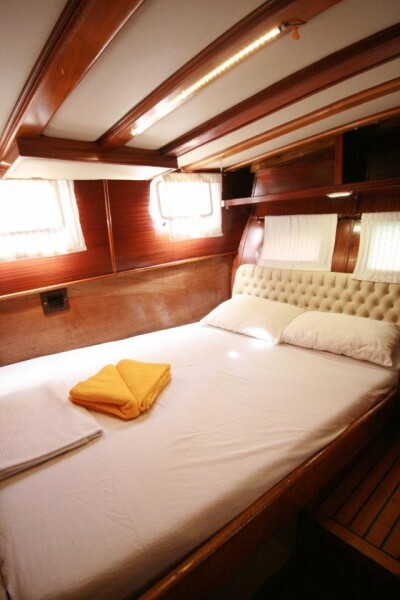 Gullet Ceyda 2 offers plenty of space on deck where the guests can relax outside in the open air. 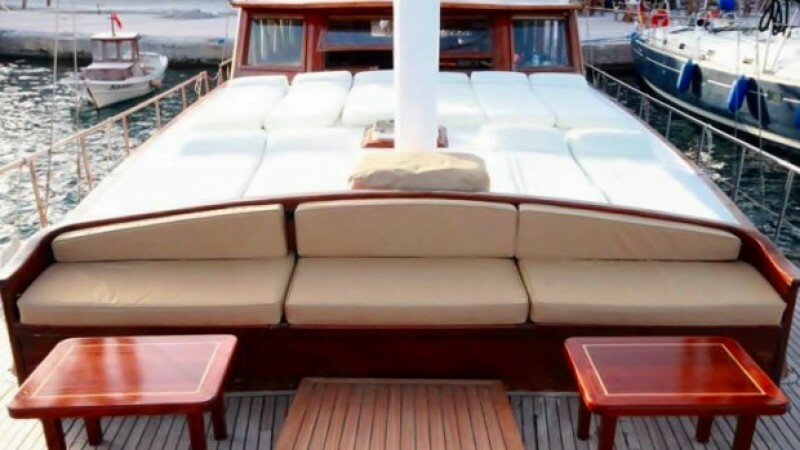 On the aft deck there is the enticing wide cushion pad plus extra cushioned seats to laze on. 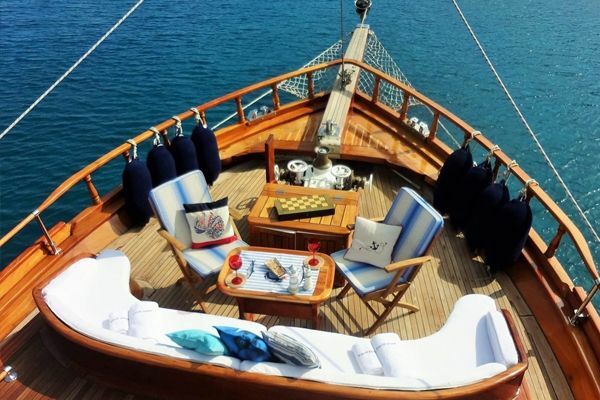 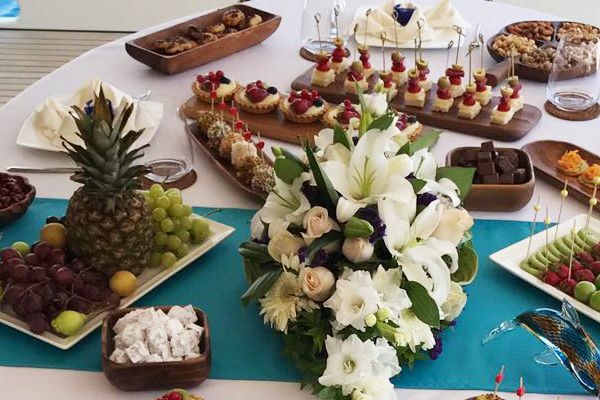 The aft deck dining table with chairs shaded or in the open air, invites guests for enjoyable delicious meals. 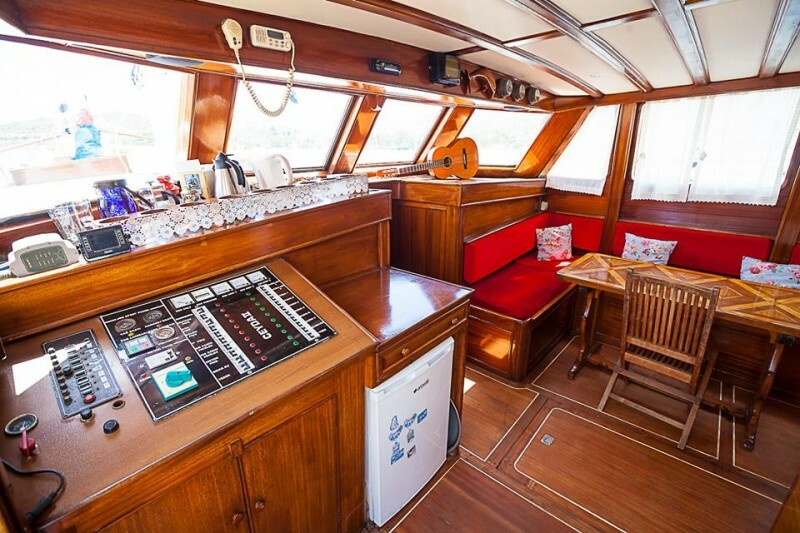 On the spacious foredeck are plenty of sunbeds for each guest to please the sunbathers and a bow seat with cushions makes the ideal place for admiring the views or enjoying a happy hour as the sun goes down. 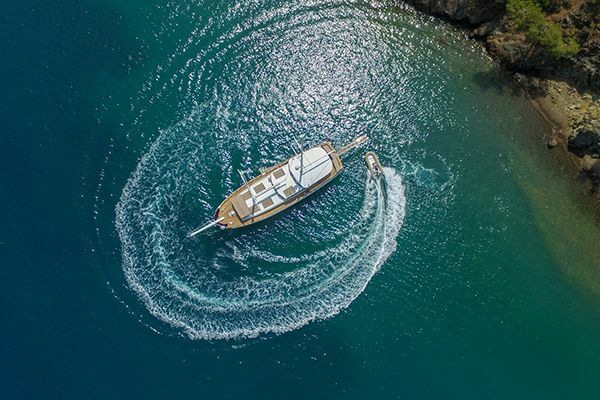 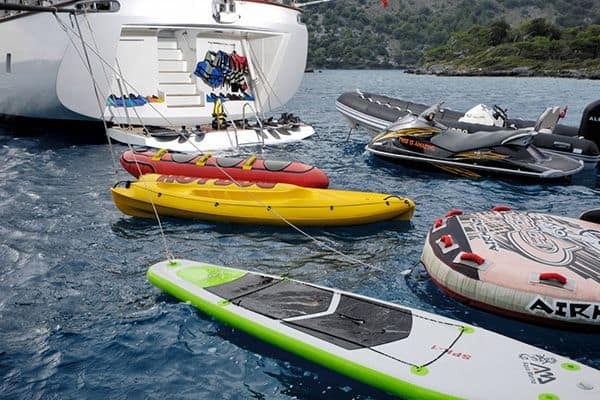 The gulet Ceyda 2 is a stylish small gulet, which is perfect for an enjoyable gulet charter holiday on the Turkish coast and the nearby Greek Dodecanese islands. 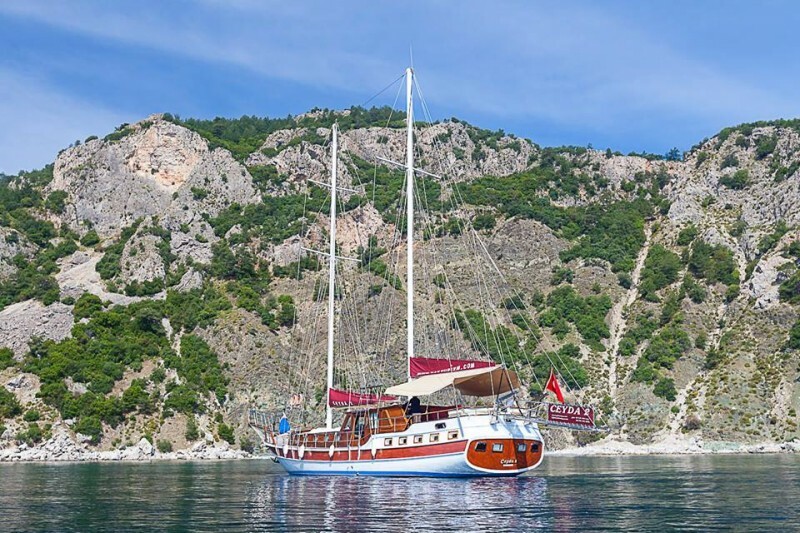 With an experienced crew doing all the work and giving perfect hospitable service aboard, a private gulet cruise holiday for a group of up to twelve guests on this gulet will be hard to beat for relaxation and enjoyment.